As a Katy probate attorney, a questions I am frequently asked concerns how long it takes to probate an estate in Texas. Fortunately, thanks to the streamlined probate process in Texas, it doesn’t have to be a long, drawn out process. With a properly drafted will, the probate process can be completed in as little as a few months. 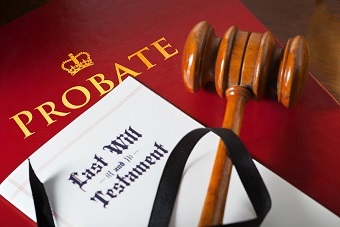 Typically, the probate process begins when a person (such as the decedent’s surviving spouse or children) files an Application for Probate. Frequently, the person who files the application is named as the Executor in the will, although this doesn’t have to be the case. The filing is usually done by the attorney representing the person filing the application. After the court clerk posts the required notice concerning the probate of the will, a hearing is scheduled in the property court. Generally speaking, if the decedent resided in Harris County, the hearing will take place in a statutory probate court located in downtown Houston. For decedents who lived in Fort Bend County, the hearing will take place in one of the Fort Bend County Courts at Law. At the hearing, the presiding judge will determine whether the will was validly executed and should be admitted to probate. If so, the judge will appoint the executor named in the will and will authorize the issuance of “Letters Testamentary”, which evidence the executor’s authority to act on behalf of the estate. After the executor qualifies, he or she will take care of gathering the decedent’s assets, paying any debts, and distributing any remaining assets to the beneficiaries named in the will. There are also several notifications that will need to be sent to certain creditors and to the beneficiaries. Most often, the executor’s attorney will handle the mailing of the required notices. For a relatively simple estate with a will that provides for an independent administration, the process can usually be completed within six months, although the process can take longer if there are unique assets that require special administration. For a dependent administration, the process can take more than a year due to the level of court supervision required. Regardless, with the help of an experienced probate attorney, the time involved in the process can be minimized.